Infineon Technologies AG, on 1 August 2017, reported results for the third quarter of its 2017 fiscal year (period ended 30 June 2017). In the third quarter of the 2017 fiscal year, revenue grew by 4 percent from €1,767 million to €1,831 million quarter-on-quarter. The Industrial Power Control (IPC), Power Management & Multimarket (PMM) and Chip Card & Security (CCS) segments all contributed to revenue growth, whereas revenue reported by the Automotive (ATV) segment was slightly down. 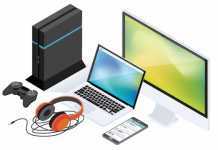 The third-quarter gross margin was 38.2 percent, compared with 36.5 percent in the previous quarter. These figures include acquisition-related depreciation and amortization as well as other expenses attributable to the International Rectifier acquisition totaling €20 million. The adjusted gross margin came in at 39.4 percent, up from 38.0 percent one-quarter earlier. Segment Result increased by 14 percent from €296 million to €338 million quarter-on quarter. 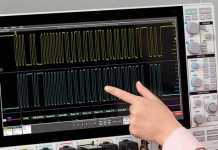 The Segment Result Margin improved to 18.5 percent, compared with 16.8 percent in the previous quarter. The non-segment result in the third quarter was a net loss of €40 million, compared with a net loss of €67 million reported for the second quarter. Of the third-quarter figure, €21 million related to the cost of goods sold, €20 million to selling, general and administrative expenses and €0 million to research and development expenses. 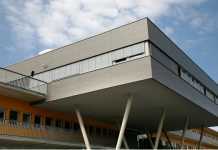 In addition, other operating income and other operating expenses were a net positive amount of €1 million. The non-segment result for the second quarter included among others significant expenses arising in conjunction with the termination of the planned acquisition of Wolfspeed. The non-segment result for the third quarter includes €35 million of depreciation and amortization charges arising in conjunction with the purchase price allocation and other expenses for post-merger integration measures relating to the acquisition of International Rectifier. Operating income in the third quarter of the current fiscal year increased to €298 million, compared with €229 million in the previous quarter. Income from continuing operations improved from €198 million to €250 million quarter-on-quarter. Income from discontinued operations amounted to €3 million, compared with income of €1 million in the preceding quarter. Net income for the three-month period improved from €199 million to €253 million. Earnings per share for the third quarter of the current fiscal year increased to €0.22, up from €0.18 one-quarter earlier (in both cases basic and diluted). Adjusted earnings per share1 (diluted) amounted to €0.24, compared with €0.21 in the previous quarter. For the purpose of calculating adjusted earnings per share (diluted), a number of items are eliminated, most notably acquisition-related depreciation/amortization and other expenses (net of tax) as well as valuation allowances on deferred tax assets. 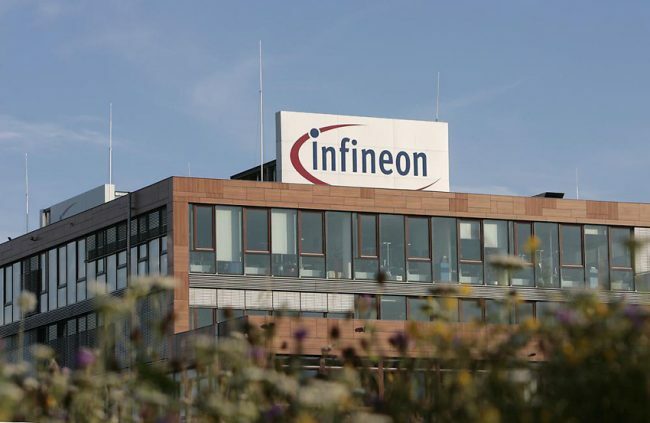 Investments – which Infineon defines as the sum of purchases of property, plant, and equipment, purchases of intangible assets and capitalized development assets – totaled €231 million in the third quarter, compared with €219 million in the second quarter. The depreciation and amortization expense amounted to €202 million, compared to a second quarter expense of €205 million. Free cash flow2 from continuing operations in the third quarter increased to €301 million, up from €82 million in the preceding quarter. Net cash provided by operating activities from continuing operations climbed from €300 million to €531 million quarter-on-quarter. The gross cash position at the end of the third quarter amounted to €2,217 million, compared with €2,049 million at 31 March 2017. The net cash position increased to €358 million, after having stood at €32 million three months earlier. Provisions relating to Qimonda decreased slightly from €27 million at 31 March 2017 to €24 million at 30 June 2017. They were originally recognized for litigation costs in conjunction with claims made by the Qimonda insolvency administrator and for residual liabilities related to Qimonda Dresden GmbH & Co. OHG. In line with the ad hoc notification published on 24 March 2017 regarding an improved outlook for the 2017 fiscal year, Infineon continues to expect year-on-year revenue growth of 8 to 11 percent, with a Segment Result Margin of approximately 17 percent at the midpoint of revenue guidance, despite a significant headwind from the weaker US dollar. The outlook is now based on an assumed USD/EUR exchange rate of 1.15 for the fourth quarter, compared with the previous assumption of 1.10. ATV and IPC segment revenue is expected to grow faster than the Group average, whereas the PMM and CCS segments are both predicted to report growth rates below the Group average. Investments in property, plant and equipment, intangible assets, and capitalized development assets are currently planned at around €1,050 million for the 2017 fiscal year. 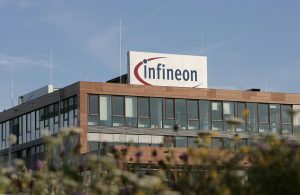 The figure includes approximately €35 million designated for the new office building at Infineon’s headquarters in Neubiberg near Munich. Depreciation and amortization are expected to be about of €815 million. Outlook for the fourth quarter of the 2017 fiscal year Based on the full year outlook for the 2017 fiscal year, fourth-quarter revenue is expected to be about the same level as in the previous quarter. The reason for the only stable revenue expectation is the significantly weakening assumed exchange rate of US$1.15 to the euro if compared to the prior quarter. The Segment Result Margin is expected to reach approximately 18 percent. Based on the full year outlook for the 2017 fiscal year, fourth-quarter revenue is expected to be about the same level as in the previous quarter. The reason for the only stable revenue expectation is the significantly weakening assumed exchange rate of US$1.15 to the euro if compared to the prior quarter. The Segment Result Margin is expected to reach approximately 18 percent.